I hope you will be pleased to know that Saltash Town Council announced last night that it had reached an agreement to acquire the former Saltash Station site. The vision for the site is to provide passenger facilities such as toilets, waiting room and a cafe, along with other community uses, and some commercial letting space to help with overall viability. Saltash station building really is a mess, more so on the road side. yet back in the 1950's Saltash station took more in fares than any other station in Cornwall except Truro. Thanks for that reminder, smokey - and congratulations on your 1,000th post! On BBC Radio Cornwall this morning an item that Saltash Town Council have now purchased the station house and are intending to do a full restoration on it. It seems the building is not listed, either. Nothing on their web site yet in writing as it's too early. The listen live link is only valid until 9am today. It can then be heard on iPlayer. The 'gateway to Cornwall' has been an eyesore but will see new life. A community hub could emerge from the crumbling wreck of a railway station in Cornwall. There have been plans in the works for years to revamp what was the waiting room at Saltash station, which has not served as part of the rail network for more than 30 years. Now Saltash Town Council has announced that an offer to buy the building, which has changed hands twice in the past decade, from the current owner has been accepted. 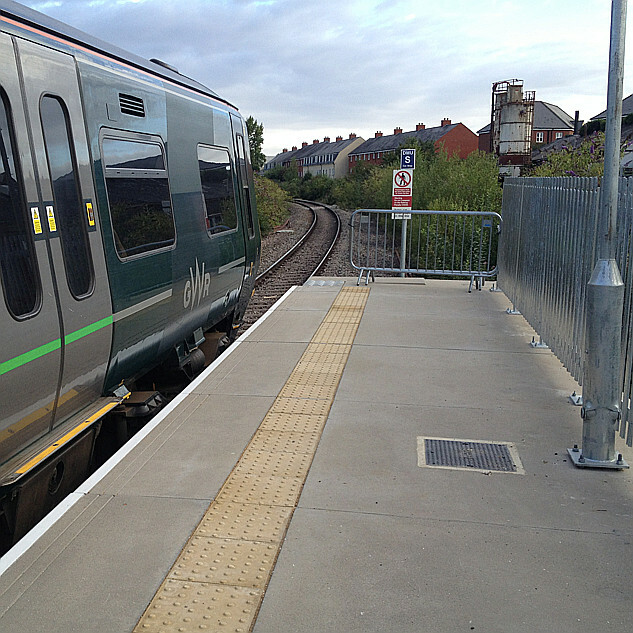 The council had previously considered using a Compulsory Purchase Order (CPO), but Councillor Richard Bickford, secretary of the Saltash Rail Users' Group, said it was "much better" to do it this way. "We have managed to negotiate a purchase from the current owner," he said, "but that is only half the story as we still need to find all of the funding and put things into place. We hope to reopen the waiting room as a community building, will the potential for office space above." Then and now: The station has been spruced up. The station known as the "gateway to Cornwall" has caused upset since it started falling into disrepair, with thousands signing a petition to re-vamp the area. And owner Darren Bennetts refused previous offers to buy the station from him. At a meeting in September last year, the council agreed to advance the process towards a CPO but this is now deemed unnecessary. Councillor Bickford said: "Cornwall Council made the owner spruce up the building, and we have negotiated the purchase of it. We are now starting to work up solid plans and apply for funding to achieve it. It has been a long battle of negotiations, but we have had funding support the Great Western Railway [GWR], which has been pretty supportive. "It is great for [GWR], the council, and the residents of Saltash to see things happening. "It has already been made an awful lot better after the clean-up, which helped lot to improve the derelict state of the building, and we now have a real opportunity to move forward. Fortunately we haven't had to go down the CPO route; that would have been very difficult and not something town councils usually get involved with. "It is much better for everybody to do it in a friendly manner." The councillor has put forward different options for the site, which would include a waiting room, café and toilets, plus additional space for commercial opportunities and community and town council use. Did try and copy/paste but images didn't come out and it's become rather messy - sorry. I'm happy to read this welcome news that a wonderfully situated piece of railway heritage has been saved. Press Release from Saltash Town Council regarding Saltash Station. Press Release - Saltash Station Refurbishment Contract Signed. Saltash Town Council have now formally entered into a contract with CORMAC Construction Limited for the refurbishment of the Saltash Station building. This is a key milestone in the project to restore the building and bring it back into use. The contract is for £388,000 and will see the shell of the building completely renovated and insulated. Where appropriate windows and doors will be replaced or refurbished. The work will see part of the building re-opened as passenger waiting facilities, with the remainder being left open plan and with a flexible use. The work has been made possible with grant funding from Cornwall Council (£140,000 as part of their Local Transport Plan budget), Great Western Railway (£102,000 from their Customer and Community’s Improvement Fund) and the Railway Heritage Trust (£60,000) as well as utilising £70,000 of local Section 106 funds. The Town Council are grateful for the support of many individuals, groups, organisations and businesses, and are pleased that we can fund this work predominantly through grant funded sources. The council is confident that this project is important to most residents of Saltash, many of whom have proactively campaigned for this to happen over several years. CORMAC Construction Ltd were chosen as our contractor in December after a competitive tender process. The Bailey Partnership is our architect partner and will be responsible for overseeing the refurbishment process. The works will take approximately 6 months to complete, although there may be an extension if further funds are found to complete phase 2 (which includes a small extension and full internal fit out). On passing through this evening (16/4) I notice that there's a portacabin and two full skips of rubble next to the main building and scaffolding has been erected inside, so it looks like work is underway. I meant to post this link the other day - some very interesting photos of the interior with work well underway. So good to see this well-overdue project finally started https://www.facebook.com/pg/SaltashStationProject/photos/?tab=album&album_id=562729894062916.